He's not just amazing at being Phil... but by talking about tough issues! Popular creator Phil Lester collapsed in a bizarre health scare this week. 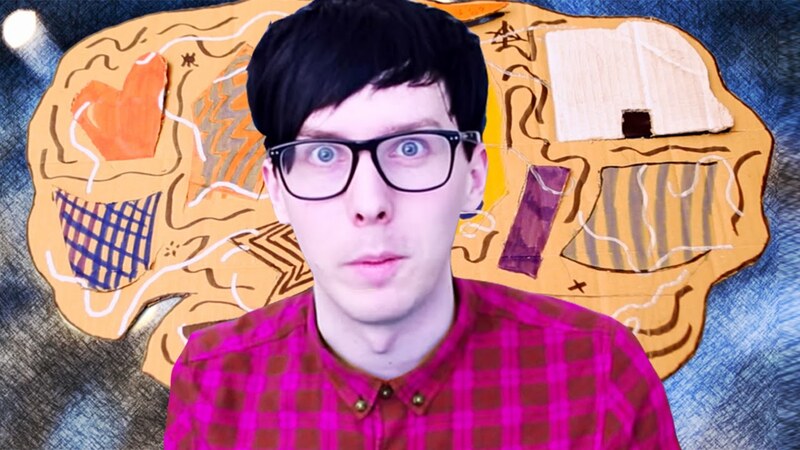 Phil Lester is a beloved British YouTuber and radio personality, who has gained over 4 million subscribers on his channel AmazingPhil. Though he recently made a vlog that made a lot of his subscribers worried. The video is called Why I went to Hospital and shows a picture of Phil pointing to his brain, which can’t be good. Phil did go to the hospital and had a dramatic time, which thankfully he shared all the details of in a vlog. Phil said he had been feeling crappy for 3 days, having headaches and shivering. At 5am, Phil went upstairs to get more headache medicine. Phil was in denial, and after passing out, he tried to stand up and passed out again!! Finally, Phil decided to lay on the floor and called for help. In the middle of trying to decide whether or not to call the ambulance… he knew he wanted one thing… He went to bed woke up and went to hospital. He had blood tests and a CAT scan and a MRI scan. He had all the scans. But the good news about all this is Phil showed us his brain! Phil says he was inspired to share his story after watching a video by PJ the Kick who detailed his story about having his appendix taken out. Both creators encourage anyone who thinks they might have a health problem to see a doctor immediately. Have you had a bizarre health scare? Let us know in the comments or on Twitter at @WhatsTrending. BlockChain Report 11/19: The Telegram Open Network Explained!